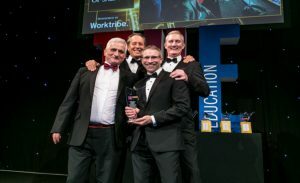 Last night, the University of Salford’s Dr Mike Wood collected the Research Project of the Year award at the esteemed Times Higher Education Awards in London. The awards, now in their twelfth year shine a spotlight on the outstanding achievements of those working in UK higher education. Dr Mike Wood from the School of Environment and Life Sciences collected the Research Project of the Year award for his work around the Chernobyl disaster. His research hugely increased understanding of how nuclear radiation affects animal life and used a ground-breaking technique to provide new evidence about what happens to the diversity and abundance of large and medium-sized mammals after radiation exposure. He worked alongside academics from the Univeristy, the UK’s Centre for Ecology and Hydrology and Ukraine’s Chornobyl Center on the international collaboration project. Together they used the area around the Chernobyl accident site as a laboratory to study the continuing effect of the disaster on wildlife. Mike set up more than 250 motion-activated camera positions and bioacoustic recorders to track animals over a year. The cameras provided more than 45,000 images that allowed the researchers to answer fundamental questions about the relationship between radiation exposure and biodiversity. Dr Paul Kendrick from our Acoustics Research Centre also collaborated on the project by placing special bio-acoustic recording devices across the area, providing more detailed information about the zone’s animal life. The team found a thriving community of large and medium-sized species. This challenges existing academic work, which had suggested that mammals have declined in the area. Their findings have also contributed to high-level debate about the potential creation of a Chernobyl nature reserve and garnered a huge amount of press coverage. The judges said that the research project was impressive in the way that it used “ground-breaking radiological methods to explore the impact of nuclear radiation on wildlife in the Chernobyl area”. On collecting the award, Mike said: “The Chernobyl Exclusion Zone (CEZ), which reached its 30th anniversary this year, represents a unique natural laboratory to study the impact of radiation levels on wildlife. “This project has not only enabled myself and my colleagues to challenge some of the claims about declining animal populations in the CEZ, it has also allowed us to work closely with international organisations and to contribute to important global debates about nuclear power, about conservation and particularly about the rewilding of our planet’s wilderness areas. Huge congratulations to Mike and the whole team! Anne Leyland a Lecturer in Midwifery at the University of Salford, has been shortlisted for the Sands Award for Bereavement Care at the Royal College of Midwives’ Annual Midwifery Awards. Anne devised the new method using the University’s extensive nursing and midwifery simulation suite because she said traditional teaching methods may not prepare students effectively to communicate sensitively and empathetically with parents who have experienced perinatal loss – the death of a baby in the womb or immediately after birth. In the simulation scenario the midwifery students are assigned to support and care for the bereaved parents and respond to the concerns and anxieties they may have. The parents’ parts are sometimes played by students from the Theatre and Performance Practice programme at the University’s School of Arts and Media. The simulated scenario takes place in an area designed to look like a home birthing room and is streamed live and recorded so larger groups of students can watch. A debrief is then carried out by lecturers to help the students learn from and reflect on the experience. The technique has received such positive feedback from students and health service colleagues that some NHS hospital trusts have discussed using it to provide additional training for their own staff. Anne said: “Simulation offers us the ability to immerse students in a very realistic setting, so they’re able to play this out and think very deeply about the right things to say and do in that situation. Anne will find out if she has won the award, sponsored by the Sands Stillbirth and Neonatal Death Charity, at the award ceremony held on 7 March 2017. The birthing room is one of a number of simulated environments in the University’s Mary Seacole Building, including maternity units containing furniture from NHS suppliers along with electronic manikins representing birthing women which are able to move, speak and even blink and which can be controlled by skilled technicians. 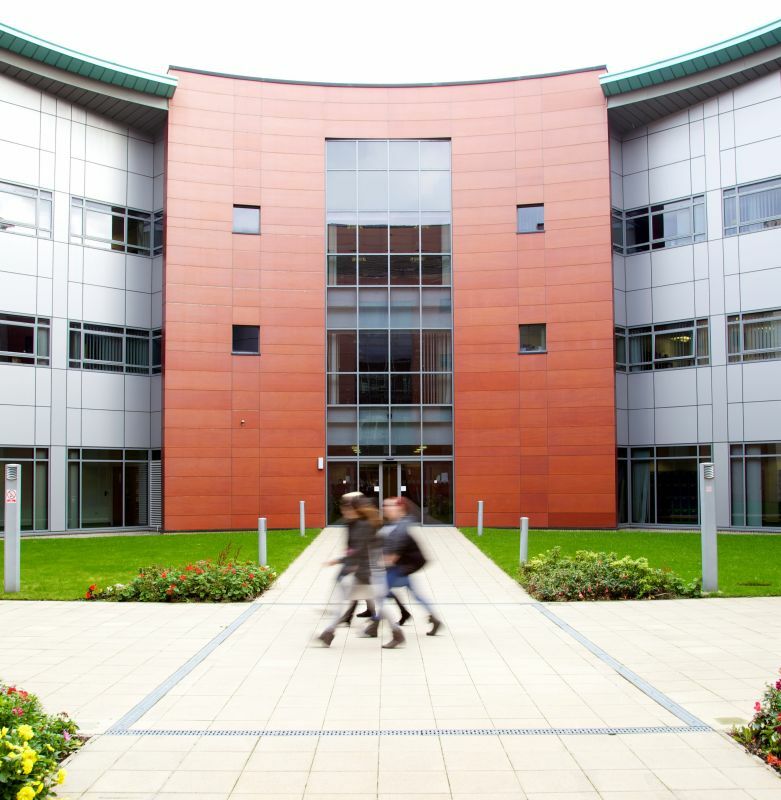 Salford Business School is set to launch an Insights & Networking Series later this month. The programme of events aims to connect colleagues, alumni, students, employers and industry partners. 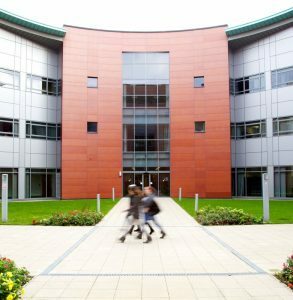 The first event will be a Salford Law Alumni Mixer, to be held on Wednesday 30 November in the Lady Hale building. The Law Mixer has been designed and organised by Lizzy Przychodzki and Lucy Fish, who together have created a unique event open to all colleagues, current students and alumni. The event will welcome recent Salford law graduates who will talk about their time at Salford and their route to employment. This will be followed by networking sessions and notable industry guest speakers who will highlight their own route into the profession, as well as key tips on applications and interview techniques. Confirmed industry speakers are Tom Smith, a Partner at Forbes Solicitors, and the Manchester Trainees Solicitors Group. Further solicitor and barrister guests are soon to be announced. Places can be booked through Advantage here. If you have any questions please contact Lizzy Przychodzki on 52124. 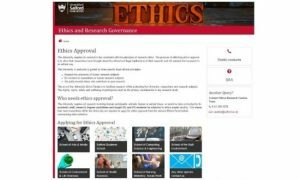 The Research Centres Support Team in the Research & Enterprise Division are pleased to announced the launch of the new University Ethics Website. Over the last few months, the team have been working to develop a new, centralised website and to update all the application forms, so that the whole process of getting ethics approval is much more user-friendly. Designed with feedback from Ethics Panel members and Professional Services and Academic colleagues across the University, the new University Ethics website provides an easy-to-use single source for all Ethics-related forms, processes and procedures. Links from all the Research Centre websites have been updated to redirect to the new website, making the transition a seamless process. The education sector is a critical player in ensuring the next generation is equipped with the skills and experience required to provide a sustainable future. The Green Gown Awards celebrate pioneers that are taking the bold steps that are necessary to develop resilience and adaptability and to showcase the education sector’s contribution to society. 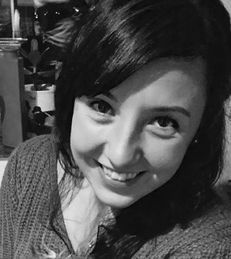 Danielle Butler, PhD candidate in the Sustainable Housing and Urban Studies (SHUSU) unit, won in the Student Research category for her research which explored fuel poverty among young adult households. She was one of only three student research project finalists. You can watch a video about Danielle here. The judging panel consisted of over 80 representatives from the diversity of the education sector and experts in the various fields, including Universities UK, Department of Energy and Climate Change, PwC, WWF and the United Nations Environment Programme. The University of Salford also won for the Castle Irwell Flood Basin Project for the best Community award and was shortlisted with the Choose reUSe project in the Facilities and Services category. For more information on the Green Gown Awards please contact Rebecca Bennett on 54071. DIGITAL technology to ease the planning of Britain’s rail upgrades has won a national award for industry. 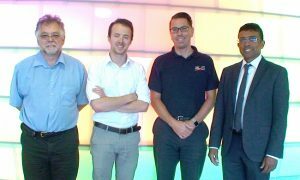 The 4-D simulation developed with S&C South Alliance for Network rail scooped Most Outstanding Building Information Modelling project at the Constructing Excellence awards in London. Network Rail recently signed a new contract with the University to roll the technology out across the country after successful series of trials. The technology was developed by School of the Built Environment’s THINKLab, which creates virtual models and simulations for a host of industries. Network Rail had been frequently experiencing programme overruns of its track renewals due to planning errors, costing millions of pounds and causing severe disruption to passengers. It has described the new package as a ‘game-changer’ in network planning, saving them time and money in scheduling upgrades. – Priority Schools Building Programme (North East), The Meadows Project (E Mids), Habberley Learning Campus (W Mids), The Faculty of Business & Law University of West of England (South-West), Land Rover BAR America’s Cup HQ (South East), East Riding Leisure, Bridlington (YH) and Holywell Learning Campus (Wales). Congratulations to Professor Martin Bull from the School of Arts & Media who was recently made a Fellow of the Academy of Social Sciences. Martin joins the latest list of distinguished social scientists to be conferred with the award. The new Fellows are drawn from across the spectrum of academia, practitioners and policymakers. They have been recognised for the excellence and impact of their work through the use of social science for public benefit. This includes substantial contributions and leadership in higher education, government, public health and social policy, funding councils, charitable foundations and think tanks. 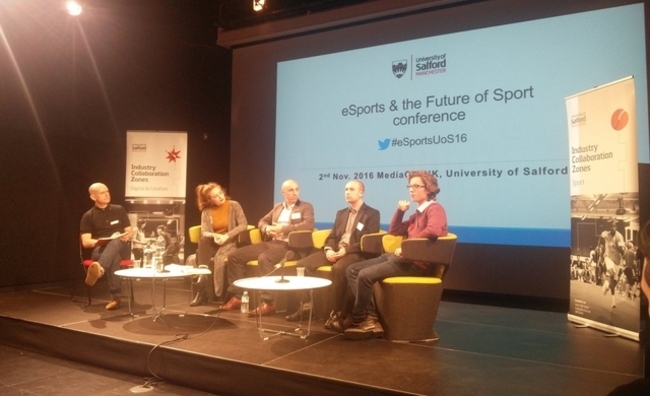 Last week our Media City UK campus hosted a one-day symposium on eSports – a £0.5bn industry which is growing all the time. With a global audience of 226 million last year, eSports is big business with people tuning in to watch others play games including Call of Duty, League of Legends, Counter-Strike and Starcraft II. The event was supported by a Higher Education Innovation Funding (HEIF) bid and is a great example of ICZs in action. 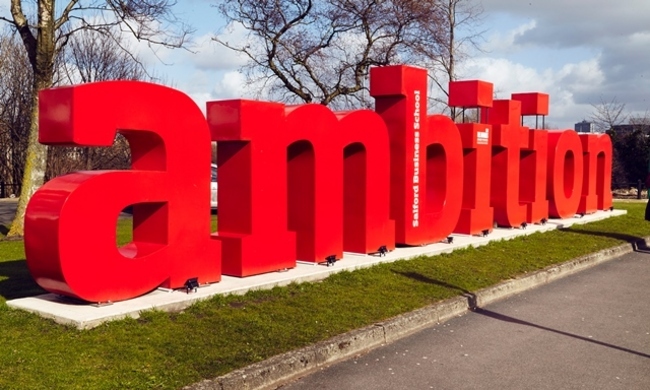 Combining both sport and digital, it was organised in collaboration with industry partners and engaged Salford academics, along with leading industry figures from a number of different sectors. The symposium, organised by The Digital Cluster (part of CARe) and the Centre for Sports Business, was very well attended with over 70 people present. Delegates ranged from top academics from across the UK to professionals from top football clubs and video game companies. The programme on the day featured a panel discussion on the future of sport with profs. Garry Crawford and Andy Miah from the University of Salford and Trevor Keane from Celtic eSports League, as well as a keynote presentation on the development of eSports with Chester King, CEO of International eGames Group. Prof Garry Crawford, who led the event, said: “eSports is a rapidly growing global phenomenon, but in many respects both industry and academics are still only starting to get to grips with the possibilities and opportunities this exciting new area offers. Congratulations to Garry Crawford, Professor of Sociology, who was recently made a Principal Fellow of the Higher Education Academy (HEA). Garry becomes the third person from the University to achieve this accolade, following Dr Sam Grogan, Pro Vice-Chancellor of Student Experience, who accomplished this 2014. He joins an elite group of under 500 Principal Fellows throughout the UK, all of which have given substantial strategic commitment to Higher Education. “I am delighted that Garry’s achievements and profile have been recognised by the HEA and, on behalf of the University, offer sincere congratulations to him on becoming a Principal Fellow,” said Prof Richard Stephenson, Deputy Vice-Chancellor. Garry’s award was in recognition of the numerous leading roles and activities he has undertaken over his 20-year teaching career in both the HE and FE sectors. Not only has he has been a programme leader for several degrees but he has also designed many successful programmes including a distance learning master’s degree. 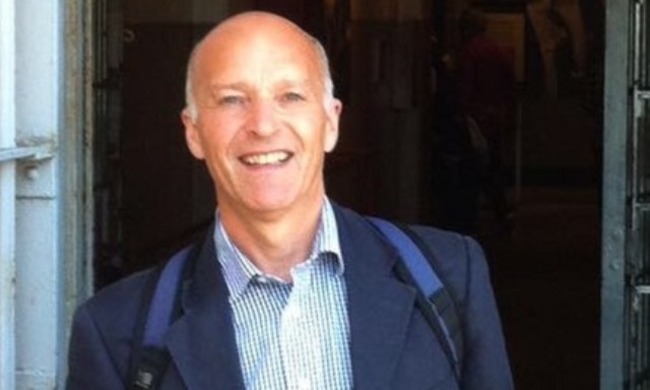 Garry has co-authored leading teaching textbooks such as Introducing Cultural Studies and The Sage Dictionary of Leisure Studies, both of which are used widely across the world in teaching. 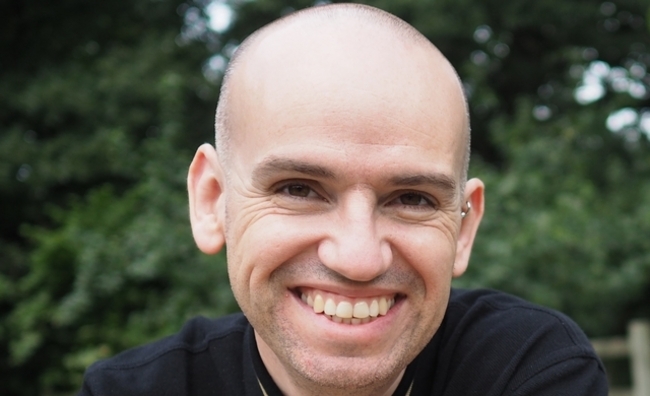 In addition, Garry is the editor and lead contributor to the Discover Sociology website which aims to provide learning material for teachers and students at pre-university level, and in doing so, encourages more to study the subject at university level. “The number of HEA fellowships at the University of Salford, at all levels, is increasing all the time. I feel this is important as it recognises and reflects the high quality of teaching that is undertaken in this institution,” said Garry. To find out more around becoming a Principal Fellow please visit the HEA website. Click here to explore the Discover Sociology website.